Ciao Amici! Christmas season has officially started and with it come to the whirlwind that is gift shopping. Gifting is definitely one of my languages. I love finding that special something for the people I love. Yet, sometimes buying gifts can be a little stressful. Especially if you have family that lives far away (or across the ocean) and need to ship things. I am an avid supporter of Amazon and Target, as thanks to their shipping and in-store pickup service, they save me several trips to the post office. As you’ll notice, this list includes some products from Amazon and Target. So without any further ado, here is a Christmas gift guide for products under $25 you’ll adore! Because one can never own too many socks. Because who doesn’t want to feel fancy when stuffing their face. I love all the Wondershop snack, but these two are so delicious. Did you know that on Amazon you can buy cute pillowcases for your decorative pillows? Take your home decor to a whole another level. Now you can have a decorative pillow for all of your favorite holidays! My in-law both me this diffuser for my birthday last year and truly cannot express how great it is. You just fill it with water and a few drops of your favorite essential oil blend and it will diffuse the aroma throughout the room. I like to use it while I’m practicing yoga, usually by adding a few drops of eucalyptus oil in it. It helps open my sinuses and enhances my breathing exercises. If you like candles, oil warmers, or scents in general, you will love this! Fill the tub with hot water and drop one of those babies in. The perfect way to relax and recharge during the holiday season. I love me a good candle, and this one takes the prize for the best candle! If you are familiar with Chip and Joanna Gaines, you’ll know they recently released their new Heart & Hand With Magnolia line at Target. Their line includes stunning home decor pieces, some holiday ornaments, and some great candles. Perfect for your that special friend who just moved or bought a house. Make their home a little cozier. No more crowded and messy side tables! One of our dear friends got us a personalized cutting board and I absolutely love it. You can use it to cut food or serve all your yummy cheeseboards. Here’s a tutorial I wrote some time ago on how to create the perfect cheese board. 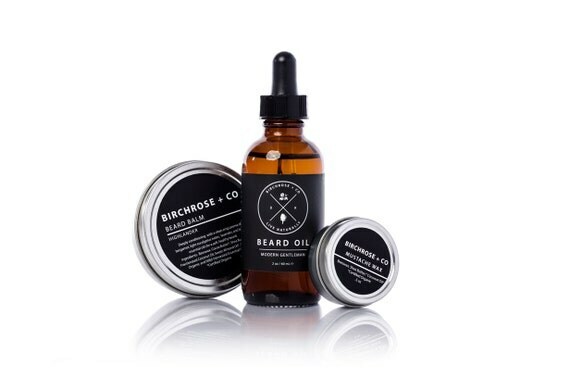 A gift for all your bearded friends. for those people who deserve to be gifted the whole world. To keep you warm during the most unBEARable cold. Now you can create all the Instagram worthy cocoa art. What is your favorite thing to gift for Christmas? Let me know in a comment below.